Logo for Yogis – Norwegian frozen yogurts | Natalia Sutkiewicz - Graphic Designer Portfolio. Logo, Business Cards, Stationery. 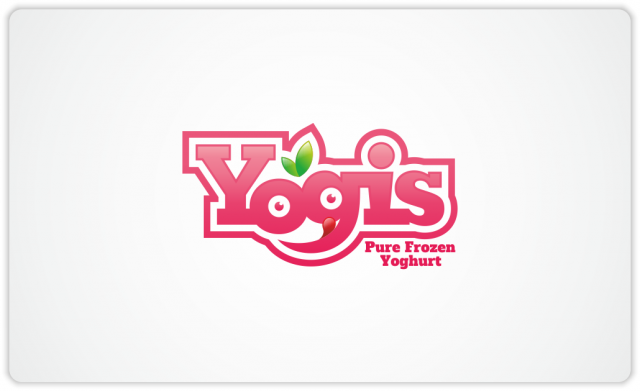 Some time ago I was asked to create a completely new logo for Yogis, a Norway-based premium frozen yoghurt business. I had a full freedom in creating a logo, so I made various initial concepts, from which the one with a smiley face was chosen. I used letters o and g in the word Yogis to create a funny looking face, with a tongue sticking out, to show how tasty these yoghurts are. For the customer it was important to somehow suggest that yoghurts are made in Norway, so I decided to use colors from a Norwegian flag as the base colors for this logo. But I also made a couple of alternative color version for other display purposes.